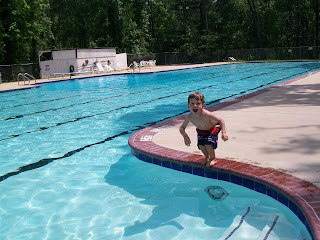 The Olympic pool in our neighborhood is open, something Dawson is very excited about. 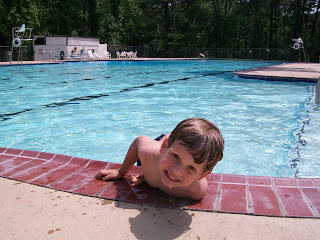 Below are a couple of pictures of him at the pool on the day that we had it all to ourselves. Smiling as he climbs out of the pool.